Starting in 2014, Persea Garden is open to the public. Assisted regeneration of the native flora is producing spectacular results on the site of a former ornamental plantation. In a world where forest destruction predominates, our visitors will get to see the opposite process at Persea. 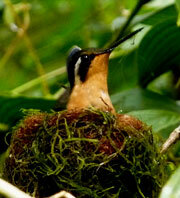 It is a perfect stop to see Nature at work for visitors on the way to or from Volcan Arenal with 1-2 hours to spare. 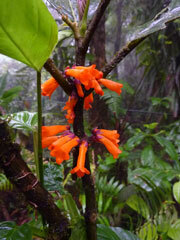 The Persea garden trail takes visitors on a walk through regenerating native cloud forest. They will be able to witness the impressive rate of plant growth, to see the high botanical diversity of a new native forest and to appreciate the associated richness of avifauna. Discounts are available to education groups by arrangement.